Happy Saturday, all! Today I’m featuring a casual tank from Shop Sunday Brunch! This is a new boutique, and I have enjoyed getting to know Angie – the gal behind it all – through Instagram. This racer back tank finishes off a perfect weekend look. 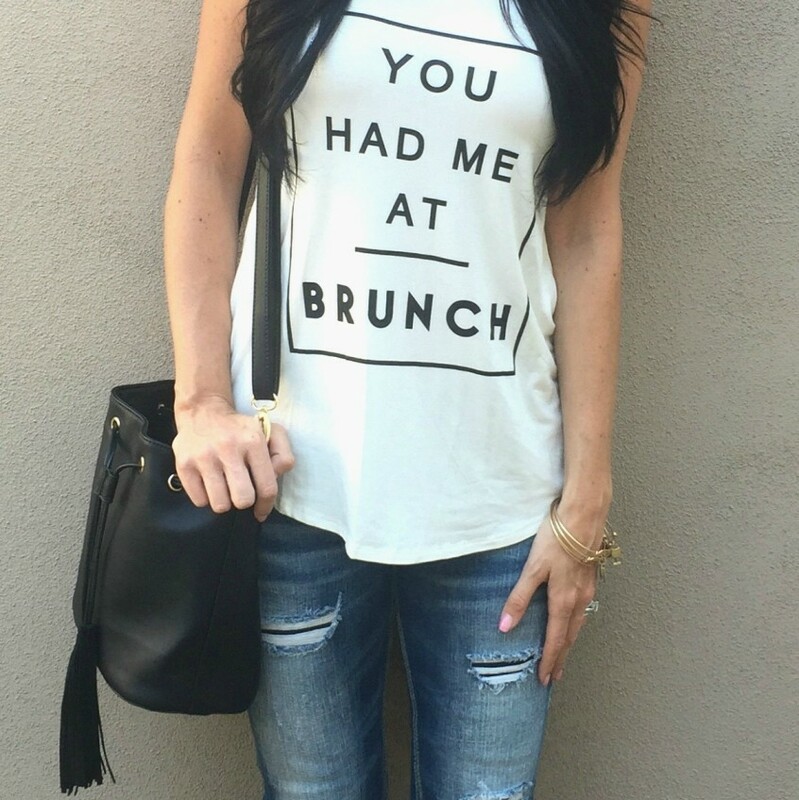 I love, no, I mean loooooove going to brunch and I love all brunch foods and drinks, so this tank speaks to me! It looks adorable with distressed skinnies, and it will flow right into summer with denim or colored shorts, too. The material is rayon and spandex, so it is soft and comfortable. I am running a giveaway over on my Instagram page now through Sunday night where you can win one of these tanks! Check it out! Also, Shop Sunday Brunch is offering 20% OFF of any purchase on their website now through Sunday, March 20th at midnight PST.